Once finds have been carefully lifted from the ground, they immediately begin their journey through the post-ex process. We carefully bag and label them, which means that when they arrive at our processing facilities, we still know exactly which layer they came from or which feature they were found in and the process of studying them can begin. Archaeological finds can shine light on the darkest corners of the past and help us to understand what happened in a particular place in exquisite detail. They can tell us about human activity, the function of archaeological features like pits and ditches, help us to date a site, understand religious and spiritual practices, trade links, daily life and domestic arrangements as well as cultural affinities. 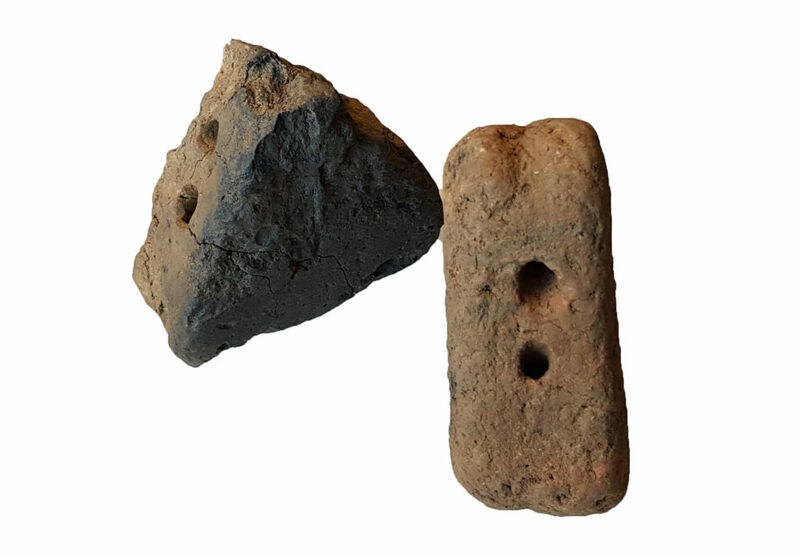 During the excavation phase of the A14 Cambridge to Huntingdon improvement scheme, we uncovered many unique and fascinating objects that reveal human connections to the Cambridgeshire landscape through time. Some of those connections reveal themselves immediately, but sometimes some of the most interesting stories often begin to emerge a later on in the process. For the next few months, a team of 10 MOLA Headland experts will be looking through all of the finds discovered and assessing them, beginning the process of uncovering new information and piecing together stories of the past. We’ll be checking in with them throughout this process and following their work as they begin to take a closer look at what life in Cambridgeshire was like through the ages. These are some of the great Iron Age finds discovered on the project and identified during the assessment stage; two triangular fired clay weights and a beautifully decorated antler long-handled comb. All three come from settlements in the area near Fenstanton. There is often some debate about precisely how different prehistoric objects were used, as we lack contemporary illustrations or written descriptions. However, these two types of objects are commonly argued to be used in textile production, with the triangular weights used on a loom to weigh down the warp (the vertical threads) while the comb was used to beat down the weft (horizontal threads). When we study these objects more closely during the analysis stage, one of the things we will be doing is looking to see if there is any use-wear or other evidence to support some of the alternative hypotheses. 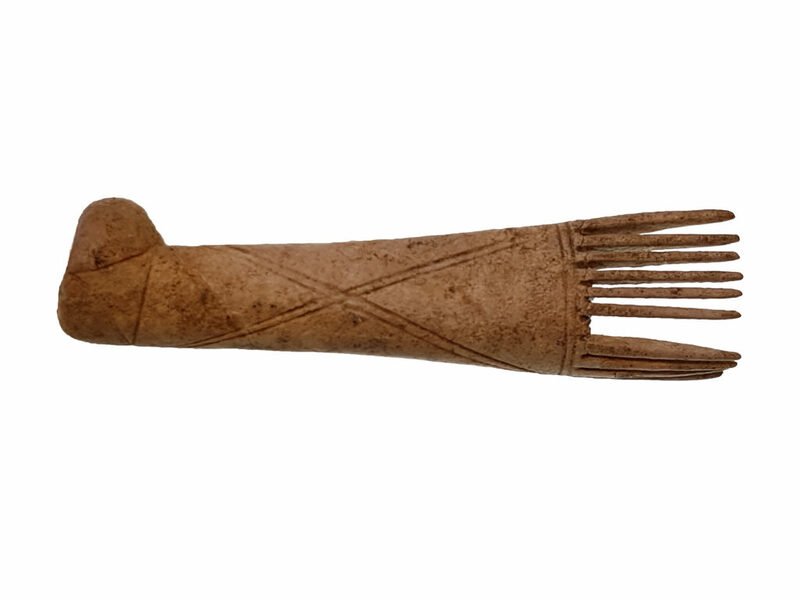 For example it has been suggested that triangular weights could be used to weigh down thatch or to build oven structures, while combs might have been used for grooming or for other textile-working tasks such as braid making. Are they too small to be fishing net sinkers? I guess they fished a lot more than they wove back then.